What does this product's protected designation of origin mean? The European Union's Protected Designation of Origin (PDO) status indicates that every part of the production, processing, and preparation process of this product takes place in the geographical region from which it originates. In other European languages, this indication may be referred to by different names and acronyms, such as DOP (Denominazione di Origine Protetta) in Italian, AOC (Appellation d'Origine Contrôlée) in French, or DOC (Denominação de Origem Controlada) in Portuguese. 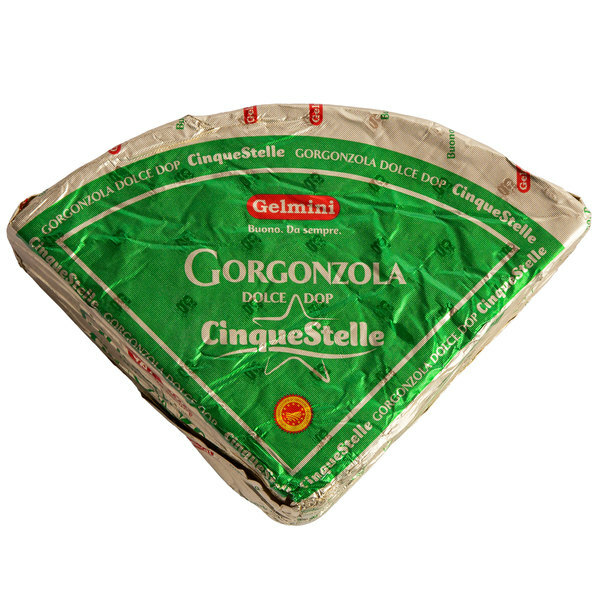 Indulge in a truly remarkable cheese eating experience with this Gelmini Cinque Stelle Gorgonzola DOP cheese! Thought to have first been made in Italy in the late 9th century, Gorgonzola cheese was originally aged in caves where the environment encouraged the growth of Penicillium bacteria - the mold that gives this and other "blue" cheeses their distinctive blue-green veins. Though the factories where Gelmini cheese is produced and aged today are a far cry from the caverns and grottos of its past, their precisely controlled temperature and humidity makes them the perfect environment to encourage the growth of the bacteria that make this cheese truly stand out! This Gorgonzola cheese is aged for around 2 months, during which time it is pierced with metal rods to encourage the growth of Penicillium bacteria in the interior of the cheese wheel. The result is a tangy, sharp, slightly spicy cheese shot through with beautiful blue veins with an intense start and mild - though lingering - finish. In contrast to its bold flavor, however, its texture is wonderfully rich, creamy, and smooth, which produces a perfectly balanced mouthfeel. 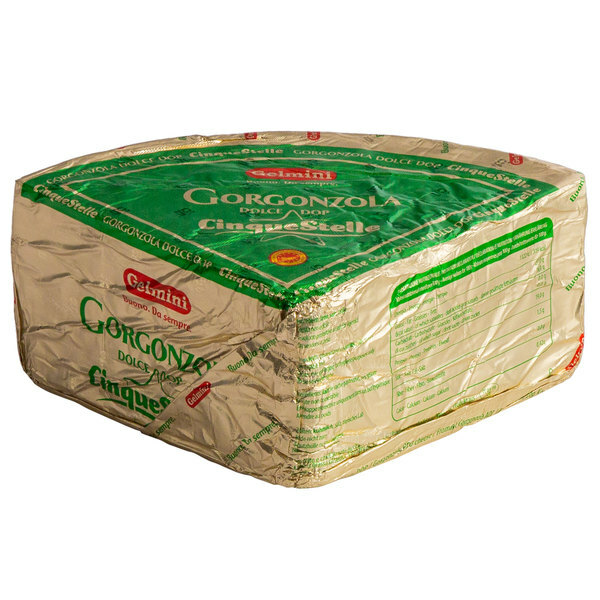 Serving this Gorgonzola in your establishment will be enough to convince your patrons that, on certain occasions, mold in food is a good thing! For a classic treat, try serving this sharp Gorgonzola alongside mild and creamy mascarpone cheese and embellishing it with walnuts. 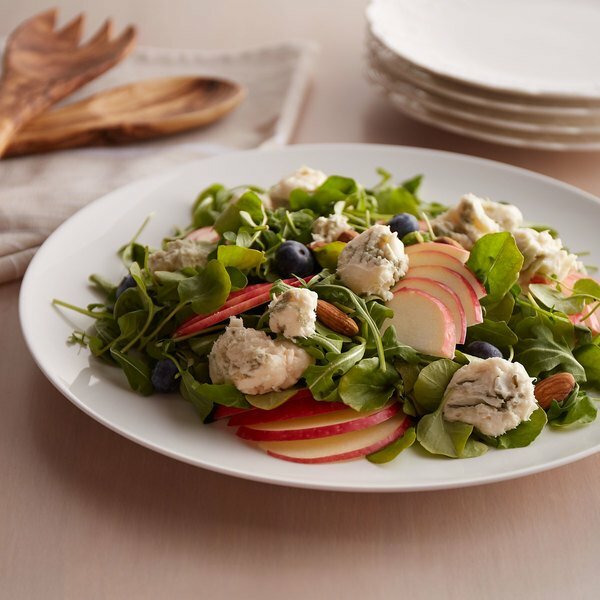 To display the complexity of its flavor on a cheese plate or charcuterie board, try serving this Gorgonzola alongside tart fresh fruits like grapes, apples, kiwis, or strawberries, intense jams and marmalades, or sweet spring flower honey. When considering beverage pairings, opt for well-aged red wines that are strong enough to stand up to the bold personality of this cheese. Barolo, Chianti, and Cabernet are particularly well-suited to this cheese. This cheese also has a long history of being paired with the Trappist beers that are brewed in Belgian abbeys (beer and cheese has been a winning combination for centuries!). Try serving this cheese alongside Leffe or hearty Chimay Bleu! To incorporate the tantalizing flavor of this cheese into your menu, try including it in creamy dips, spreads, or homemade salad dressings. For more traditional Italian fare, fold this cheese into a warm risotto during the last step of cooking, or serve with short pasta such as penne or rigatoni. It is also an essential ingredient in a classic piazza ai quattro formaggi - four cheese pizza! 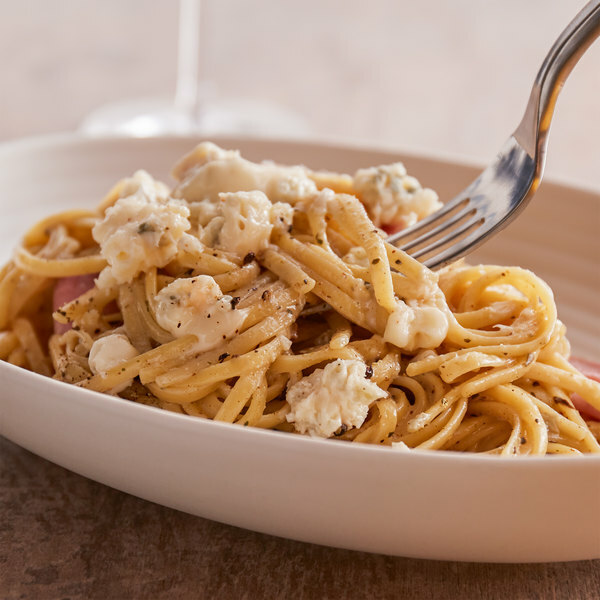 Whether you choose to include the sharp flavor of this Gorgonzola in your recipes or serve it simply on its own, it is a great way to bring a classic Italian flavor to your menu! Carlo Gelmini was raised on Gorgonzola cheese. His grandparents owned a small artisanal cheese factory that was established at the end of the 19th century, and he all but grew up there - and later went on to inherit the company. Through a combination of knowledge about "the king of blue cheeses" and business savvy, he was able to turn what was once a small family business into a successful international cheese manufacturer and exporter. Today, the company is run by Carlo's sons, who continue to operate it with the principles passed on to them by their father. Gelmini cheese is made with ancient methods using modern equipment, combining tradition and technology to create a truly outstanding Gorgonzola cheese that is sure to delight your customers.